For your protection and the security of your private information (as well as that of your customers), portal logins have a 20-minute session inactivity timeout. It&apos;s actually very easy to keep your session alive. You never have to refresh your browser. GoToMyAccounts detects mouse movement on the page and will refresh your session automatically. A session will only timeout if there is truly no activity on the page for more than 20 minutes. In addition to detecting mouse movements to preserve your session, you will see a popup warning beginning at 3 minutes from a timeout. 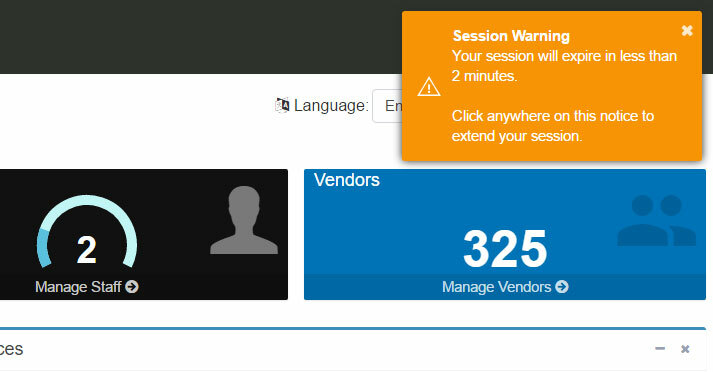 To keep your session alive, simply click anywhere on the notification. Super easy!